Andon has been so interested in Santa this year. Asking lots of questions and wanting to know whether he is real or not. All I ever say is "what do you think?" So when Santa came walking out this morning I saw him inspecting and watching, trying to decide what he thinks. To my surprise, Santa came right over to Andon. 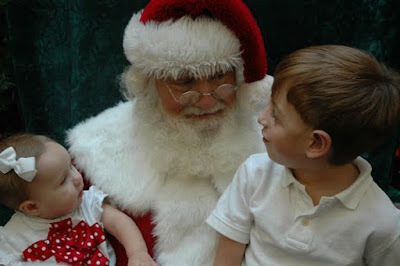 He asked his name and invited him and Adelyn over to talk. I was able to take my own pics and as many as I wanted to. Love that! 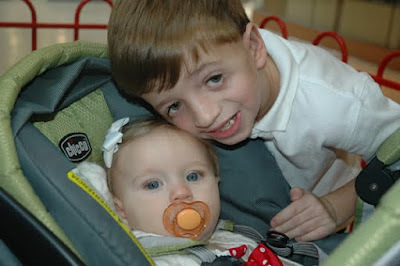 After Andon had a chance to talk with him we put Adelyn on his lap too. She didn't have a problem with it at all! 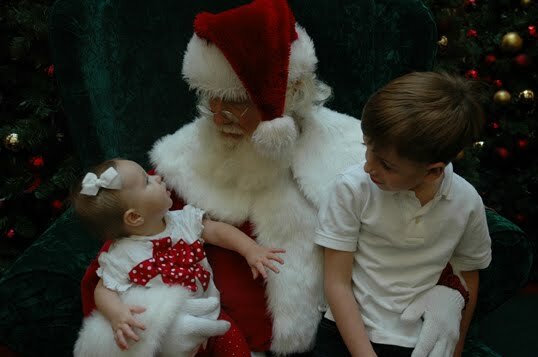 She was very interested in him and what this was all about. 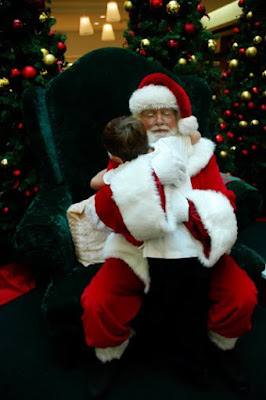 When we are all done, Santa asked Andon if he could have a big hug. 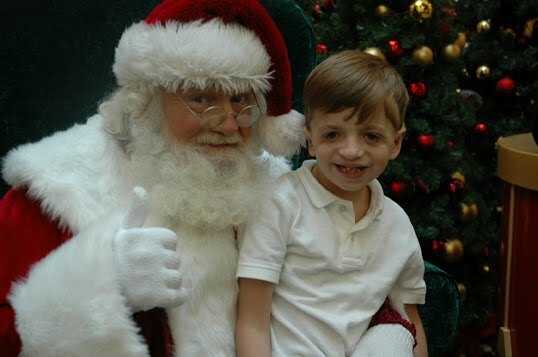 He told Andon that it made his day to meet him today and that he was a very special boy. It was so sweet! Oh my goodness those pics are adorable! 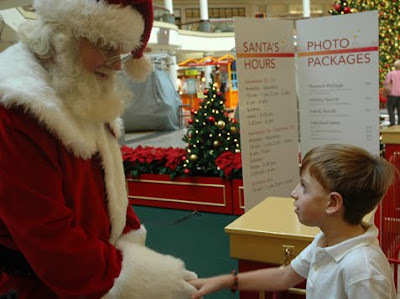 And this year we are doing a different Santa also...we have always went to Fashion Square Mall during daddy's lunch hour (since it's near work). 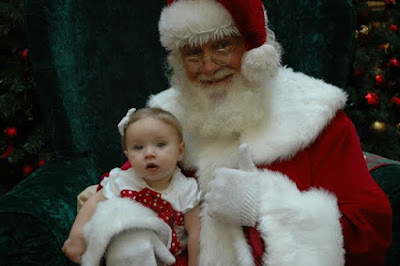 But this year, due to budget constraints, we are hitting up Bass Pro for the Free Pic with Santa. Probably going to be CrAzY Lines! (Btw...Yes, finally back to blogging :) Didn't want to do another "I'm back to blogging posts..." I've done that before and didn't stay committed. We shall see)! 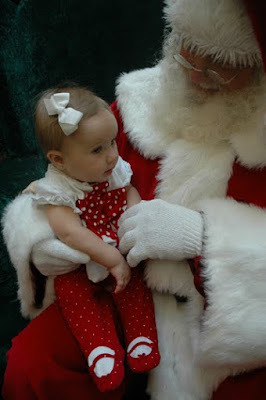 cute pics... we still haven't got pics with santa this year. We met him, but just talked and enjoyed it without taken the pics. I'll have to try to get to the mall next week... I'm scared of the lines, too.